1 - Mix sugar, salt, cinnamon, ginger, and cloves in small bowl. 2 - Beat eggs in large bowl. Stir in pumpkin and sugar-spice mixture. 3 - Gradually stir in evaporated milk. 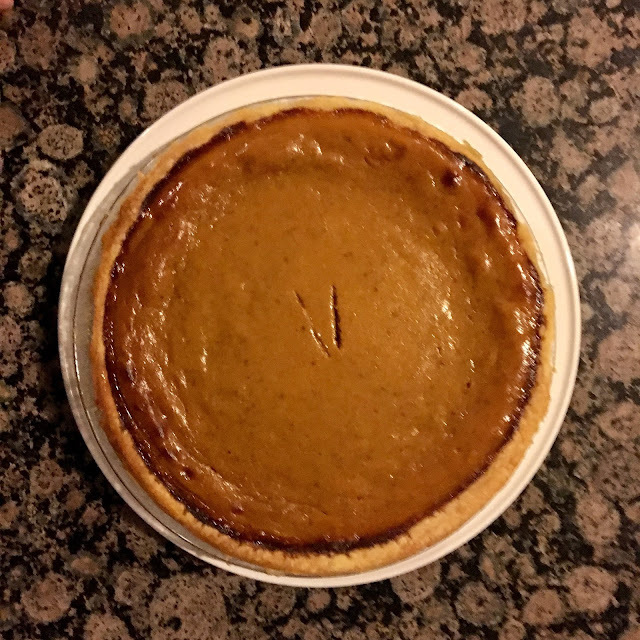 4 - Pour into pie shell. 5 - Bake in preheated 425-degree oven for 15 minutes. Reduce Temperature to 350-degrees, bake for 40-50 minutes, or until knife inserted near center comes out clean. 6 - Cool on wire rack for 2 hours.